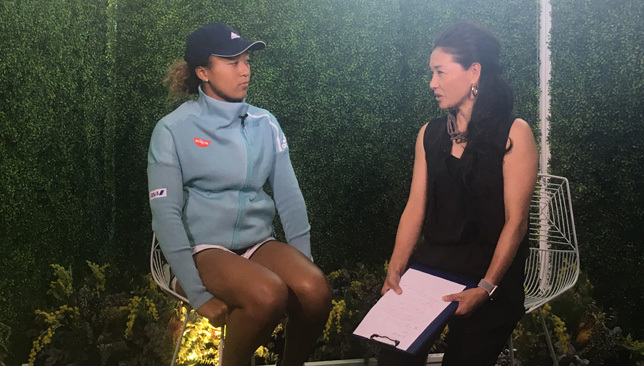 When a Japanese journalist asked Naomi Osaka how she seemed so relaxed on the court during one of her Australian Open matches this fortnight, the world No. 4 gave the following explanation. “What makes me relaxed is the fact that I know that I’ve put in a lot of time during the offseason on my fitness. I feel like I can sort of relax and let the other person do whatever they want, and I have confidence that I can run it down. I think that’s one of the biggest reasons why you think I’m relaxed,” said Osaka. Running down balls is not necessarily the first thing you think of when the power-hitting US Open champion comes to mind. But over the past 10 months, she has made dramatic improvements to her movement and fitness and is feeling increasingly confident in her own physical abilities. During her tough three-set win over Hsieh Su-Wei in the third round in Melbourne, Osaka had to do a lot of running to deal with her opponent’s creativity. What got her through it? “I did a lot of offseason training like running, so I just felt like I had to trust my athleticism, in a way,” said the 21-year-old. The man behind her fitness transformation is her strength and conditioning coach, Abdul Sillah, who joined Team Osaka last year just before Indian Wells, a tournament she ended up winning, announcing her official arrival to the big stage. “That was his first tournament, so he’s sort of a good luck charm,” Osaka told Sport360 of Sillah. Indian Wells was Osaka’s first-ever title victory. Her second came six months later at the US Open. Sillah helped three different players triumph at the US Open: Osaka, Sloane Stephens and Serena Williams. He first met Williams in 2004 in San Jose, where he is from. He was there doing a speed camp with NFL players and she was there to watch her sister Venus compete in a tournament while she was recovering from knee surgery. Serena’s uncle started communicating with Sillah and eventually he joined her team. They worked together for nearly a decade. 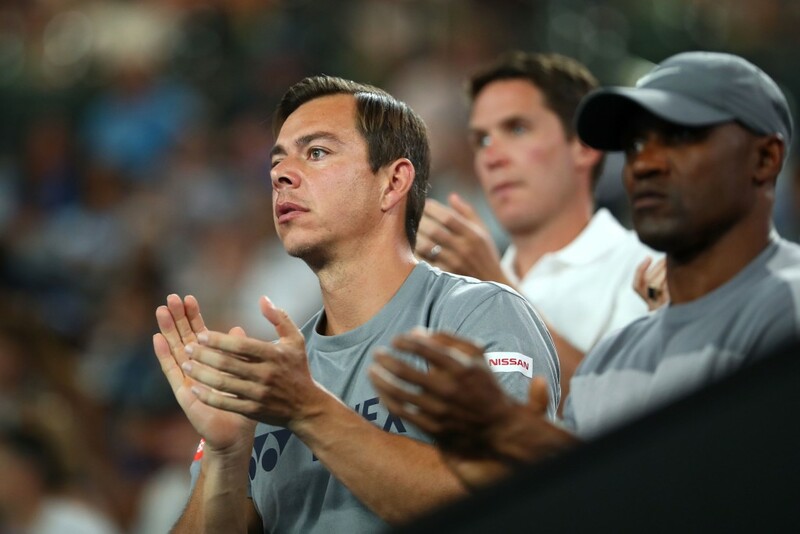 Sascha Bajin, who used to be Serena’s hitting partner, brought on Sillah to Team Stephens in 2016 when she was sidelined with a foot injury that led to surgery. Sillah was with her during her dream comeback that saw her win the 2017 US Open just two months after she returned from an 11-month hiatus. “Timing is everything, right?” Sillah says with a laugh when I point out how both Osaka and Stephens experienced immediate success after he started working with them. He refuses to take credit for either player’s success and explains why he thinks things started clicking for Osaka at Indian Wells last year. “She finally had a team around her at that point, like a full team. Which I think probably helped a lot. And when you have a full team, that usually builds confidence,” said Sillah. That team includes Bajin, who has been Osaka’s coach since the end of 2017. 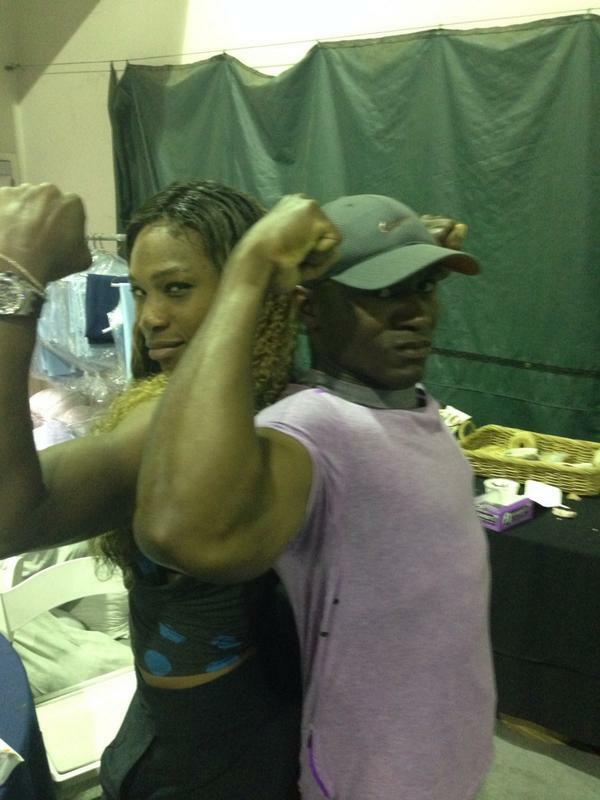 Sillah believes the common thread between Osaka, Stephens and Serena is “athleticism”. He has worked with all types of athletes, from Olympic speed skaters, to MLB players, and he says the goal with Osaka was to create a “sprinter” out of her on the court. Osaka grew up idolising Serena and their games share many similarities. “Naomi and Serena, what they have in common is their ‘teachability’. I always say, if you’re teachable, it’s easy for you to become a champion,” says Sillah. “The ones that have a problem I believe in any sport are the ones who are unteachable and uncoachable. Because you have arguments and debates which means someone is going to win and someone is going to lose. That someone always thinks they know better than the other. Osaka is “grateful” for Sillah, and the work he’s put in with her. “Abdul really helped me with letting me believe in the fact that I can play long matches, and I’m okay with that because I don’t really get tired,” she said in Melbourne this week. There seems to be great chemistry between all the members on Osaka’s team, especially that Bajin and Sillah have known each other for a long time, since the days when they were both in Serena’s camp. “We were like brothers in a way, we got along pretty good, we had great chemistry and we fed off each other,” recalls Sillah. Bajin hopes their partnership continues as Osaka keeps going from strength to strength. “It’s easier to work with somebody you’ve known for so long because then they know you as a person and they know how you think, how you click. You can work together without having to say too much,” Bajin told Sport360. While Sillah acknowledges the progress Osaka has made fitness-wise, he believes the main catalyst behind her success was more mental than physical. “More than anything, I think it was more mental progress. I believe for anyone to become a champion, not a winner, but a champion, mentally they have to be prepared and stronger than anybody else. And that’s what I’ve always talked to her about,” he adds. 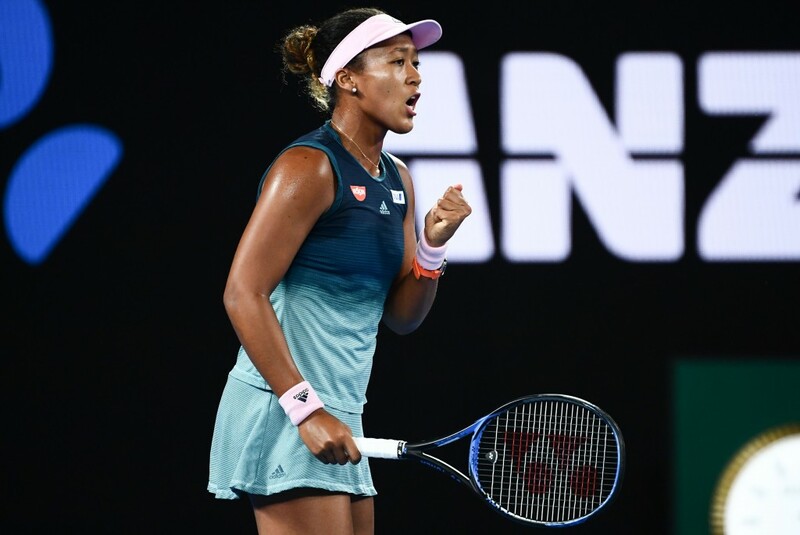 Osaka has certainly had her fair share of struggles this fortnight in Melbourne en route to the final – her second consecutive at a Grand Slam. Can she overcome one last hurdle when she takes to the court against Petra Kvitova on Saturday? We’ll find out soon. Kimiko Date, the last Japanese woman to reach the Australian Open semi-finals prior to Naomi Osaka’s run this fortnight, has hailed the 21-year-old’s progress over the past 12 months and is happy to see a countrywoman excel on the sport’s biggest stages. Osaka became the first Japanese player – man or woman – to win a Grand Slam when she lifted the US Open trophy last September, stunning Serena Williams in the final. Born in Osaka to a Haitian father and Japanese mother, Osaka has lived in the United States since she was three years old and has fans in all corners of the globe. She is attempting to reach a second consecutive Grand Slam final when she takes on Karolina Pliskova in Thursday’s semi and is in contention for the world No. 1 ranking this tournament. If she manages to book a spot in the final against Petra Kvitova, the winner of that match would be the new world No. 1. Date made the Australian final in Melbourne in 1994 and is a former world No. 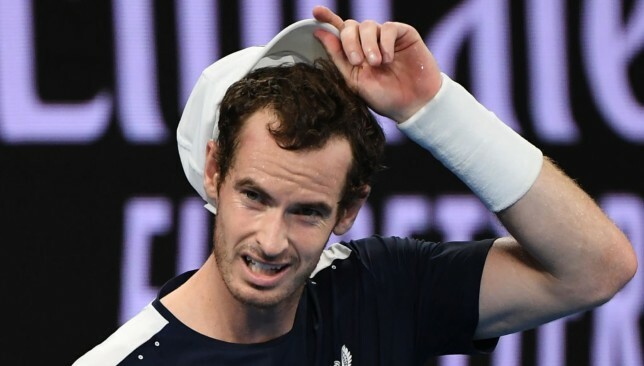 4, who retired from tennis in 2017, aged 47. Currently in Melbourne doing media work for Japanese TV channel Wowow, Date discussed Osaka’s rising popularity in Japan. “Of course it’s good for Japanese tennis. She grew up in the States but everybody is so happy and we support her a lot,” Date told Sport360. Osaka is making history for Japan with every new achievement on the tour and Date is impressed with how the youngster has been handling it all. “I think she is under so much pressure but she manages to control it,” said Date. Osaka fought back from a set down in the third round against Hsieh Su-Wei, and against Anastasija Sevastova in the fourth round and will be bidding for a seventh top-10 victory of her career when she squares off with Pliskova on Thursday.